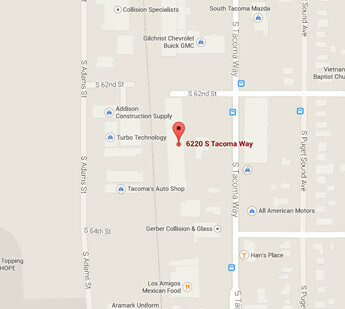 Complete Automotive Repair in Tacoma, WA! Welcome to Genesis Automotive & RV Repair, Inc., your home for the highest quality automobile customizations, RV repairs, auto repair, fleet repair and horse trailer repair in Tacoma, WA and the surrounding Northwest! Genesis Automotive & RV Repair is a locally owned and operated auto repair shop in Tacoma, providing reliable auto repair, auto maintenance services, RV repair services and complete automotive customizations since 1993. Our team is friendly, knowledgeable and always here to help make your automotive repair experience easy and enjoyable! Make an Auto or RV Repair Appointment Today! Feel free to give us a call today at (253) 473-2336, or easily schedule your appointment online, and we’ll be happy to answer any auto repair questions you may have. Genesis Automotive & RV Repair is your one-stop-shop for all of your car and RV customizations, RV repairs and auto repair in Tacoma, WA. Our friendly team is ready to get your automobile the way you want it so you can get back out on the open road! When you bring your vehicle to Genesis Automotive & RV Repair, you can count on our expert advisors and service technicians to ensure that your auto repair or customization is of superior quality. Our friendly staff is always here to assist you in any way possible, and we are happy to answer all of your questions or pour you a cup of coffee while you relax in our customer lounge. Or if you have places to be, we can provide you with a free loaner car while your car is in our shop! Get great deals on your next repair! Are you looking for quality automotive or RV repair at a great price? At Genesis Automotive, we always offer competitive pricing – that’s why our promotions provide an ever greater deal on services! If you had a positive experience at our shop, please recommend your friends and family to Genesis Automotive! We always appreciate customer referrals so that we can continue to provide great service.